Heinz Goddar, Prof., Dr., a German Patent Attorney and European Patent and Trademark Attorney, is a partner of Boehmert & Boehmert, with his office at Munich. Technical background (as well as PhD degree) in physics, with a focus on polymer physics. He teaches Patent and Licensing Law as an Honorary Professor at the University of Bremen, Germany, as a Lecturer at the Munich Intellectual Property Law Center (MIPLC), Munich, Germany, as a Visiting Professor at the University of Washington, Seattle, WA, U.S.A., and the National ChengChi University, Taipei, and as a Consultant Professor at the University of Huazhong, Wuhan, China. He is a member of the Professors Committee at the Institute for International Intellectual Property (IIPP) at Peking University (PKU), Beijing, China, and of the Advisory Board of the Tongji Global Intellectual Property Institute (TGIPI), Shanghai, China. Prof. Dr. Goddar is an Adjunct Professor and an Honorable Consultant in International Legal Services at the National Yunlin University of Science and Technology, Yunlin, Taiwan. He is also a Director at the Global Institute of Intellectual Property (GIIP), Delhi. 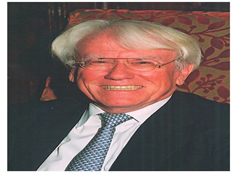 He is a Past President of LES International and of LES Germany and has received the Gold Medal of LES International. In March 2014 he has been selected into the IP Hall of Fame. Contact and further information: goddar@boehmert.de, http://www.boehmert.de. Dr. Alpesh Pathak is currently Head - Patent Cell at Intas Pharmaceuticals Ltd. Dr. Alpesh has also written a book on Patent fundamentals which is very well appreciated in major universities wherein patent is one of the value added subject in the respective technical discipline. He works on a variety of intellectual property matters at Intas, including Para IV filing, Handling litigation and related activities, drafting and prosecution of patent applications, drafting and negotiation of intellectual property agreements with third parties, and due diligence analyses in support of in-licensing and out-licensing activities. Prior to joining Intas, Alpesh has worked with some of the leading pharmaceutical companies like Alembic Ltd, Lupin Ltd., Zydus Cadila and Cadila Pharmaceuticals. Alpesh holds a PhD degree from The Sardar Patel University. Besided having PG diploman in Patent Law degree from Nalsar Uni, Hyderabad, he has undergone various specialized courses on US litigations and European patent practices. He has completed Masters from the Sardar Patel University, and a B.Sc. from the Same University with specialization in organic chemistry. Dr. Alpesh is also active in certain knowledge development programs for creating IP awareness by conducting lectures in various universities and conferences in India and abroad. He also currently a visiting faculty at Sardar Patel University. • Dr. Pandit has completed Ph.D. in Medicinal Chemistry from Bhavnagar University under University & Industry Collaborative Project (U&I Project) with Alembic Limited and also completed an executive management program from Indian Institute of Management, Lucknow. 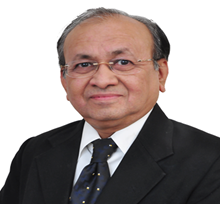 • Dr. Pandit has been awarded LLB in general law from Gujarat University and a specialization PG Diploma in patents law from NALSAR University of Law. • Dr. Pandit carries 14 years of professional experience and had worked previously with Dr. Reddy’s Laboratories in IP Management Department. Since 2007 to January 2015, he has worked with Cadila Pharmaceuticals Ltd. (CPL) and spear head the operations of IPR Cell and facilitate research activities at CPL. Currently he is working as Officer on Special Duty at Minister of Commerce and Industry, GoI, New Delhi since February 2015 and involved with various National IPR Policy related affairs. Trade Marks (CGPDTM) & GI. Shri S. Chandrasekaran has been working as Member (Technical) Judge in Intellectual Property Appellate Board (IPAB), Chennai in the year 2007 April. Before that he served asController General of Patents, Designs & Trade Marks from 2004 -2007. 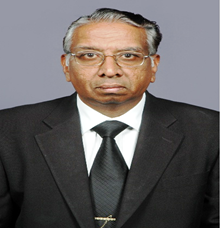 He joined Patent Office of India since May 1974 and served at various positions. He has graduated in Engineering in Electronics & Communications Engineering Branch from PSG College of Technology in 1972 from Madras University. He also graduated in Law in the year 1978 from Bombay University with specialization in Interpretation of Statutes & Principles of Legislation. He also obtained PG Diploma in Financial Management from Bombay University. 1. Undergone advanced training in Patents Examination & Searching from Royal SwedishPatent office at Stockholm in Sweden in September 1985 for 5 weeks. 2. Undergone advanced training in Industrial Property from Japan Patent Office at Tokyo in Japan in 1990 for 4 weeks. 3. Undertook study tour to Patent office, at UK; European Patent Office at Munich & Hague in Netherlands; Austrian Patent Office at Vienna in Austria; to know about Modernized of Patent System & Patent Information System in Feb. 1993. 5. Participated in the WIPO Asian Regional Seminar on “Valuation of Intellectual Property” conducted at KIPO at Dedaeuk in Seoul in Korea in Sept. 1999 and thereafter undergone an advanced training in “Administrative Issues of Patents & Trade Marks, at Netherlands Patents & Trade Marks office in Hague. 6. Participated in WIPO Asian Regional Seminar on Intellectual Property Strategy for Economic Development held at Kuala Lumpur in Malaysia in Dec.2003. 7. Participated in WIPO Asian Regional Seminar on Intellectual Property Strategy for Economic Development held at KIPI in Dedaeuk in Seoul, Korea in Nov.05. 8. Participated in WIPO Asian Regional Seminar on Patent Licensing seminar at Tokyo in Japan organized by Japan Patent Office and also the high level forum discussion on Intellectual Property Strategy at Tokyo in Japan, in Jany.2006. Shri Padmin Buch is very well known IPR Domain Expert in Gujarat. 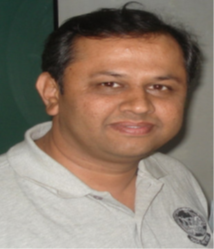 He is currently working as senior visiting faculty at EDII, Ahmedabad. Previously he was working as a Managing Director, GITCO, Ahmedabad. Earlier he worked with Sarabhai Group, Baroda in the area of Production & Production planning. He possesses more than 26 years of combined experience in Industry and Consultancy & Development work in Project Management and IPR fields. His special initiative includes establishment of Patent Assistance Cell (PAC) at GITCO. GITCO Patent Cell has filed 60 patents so far as well as Knowledge partner to several national & international seminars on Intellectual Property Rights (IPR). He serves as a National expert for Cluster Development Programmes at Indore, Hyderabad & Dehradun by SIDBI & Foundation for MSME Clusters, New Delhi. He has been invited as a speaker in many National & International Conferences on IPR and serves as a visiting faculty at EDII, AMA, FICCI, CII, GTU, NIRMA UNI., CEPT University and other Institutions in Gujarat & outside. He received The Pedagogical Innovation Award-2013 from The Gujarat Technological University (GTU) for innovative contribution in the field of IPR & Patents. Dr. Rajeshkumar Acharya is a Patents and Trademarks Attorney and he provides comprehensive as well as strategic advice to both domestic and international client. His extensive background embraced Prosecution and Litigation of Patents, Trademarks, Designs, Copy rights and other Intellectual Property related matters. The combination of the Doctorate degree in Pharmaceutical Chemistry and the Bachelor degree in Laws has given Dr. Acharya strength in enhancing understanding on essential characteristics of individual cases. He is also registered to practice before Canada Patent & Trademark Office. He is the member of various National & International Organizations related to Intellectual Property Laws; and also an active member of AIPLA, ABA, APAA, AIPPI, ECTA, FICPI, INTA, ITMA, IPO USA, LES USA & Canada Inc., MARQUES AND NAPP, USA and many others. 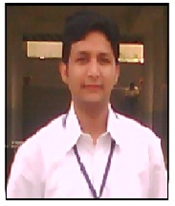 At present, Dr. Amit Dodiya is working as a Deputy Manager in API (IPR) department in Cadila Pharmaceuticals limited, Dholka from last 4 years & 2 months. 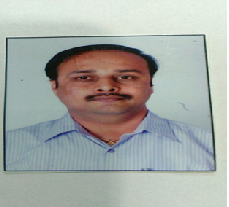 Before joining Cadila, he worked with Excel Industries, Bhavnagar. He has completed PhD in Organic chemistry division from Bhavnagar University, Bhavnagar under the guidance of Dr. N C Desai (Head, Department of Chemistry, Bhavnagar) from May-2011. He is also currently pursuing third year bachelor’s in Law (LLB) from Gujarat University. Further, he has completed Post M.Sc Diploma in Intellectual Property Rights from Nalsar University, Hyderabad & Regulatory Affairs from Bio informatics institute of science, Department of Biotechnology, under Ministry of Science & Technology - New Delhi. He has did his basic studies include Graduation and post graduation in Organic Chemistry Bhavnagar University. His area of interest and expertise lies in patent and other literature search from various database using precise keywords ranging from Novelty search, prior art search, infringement analysis, Clearance search etc. He is proficient in patent drafting and patent filling independently as well as proficient in patent analysis and comprehending. He has filed 3 patents under his name and published 2 research articles. Dr. Manish Kumar is working as Associate Professor and is former Head of the Department of Production & Industrial Engineering, MBM Engineering College, Faculty of Engineering J.N.V. University, Jodhpur, Rajasthan. 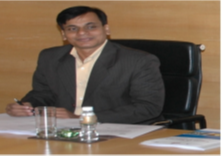 He has also worked as Professor and Director Academics at GIIP, New Delhi. He did his Ph.D. in Mechanical Engineering. His Ph.D. work is in the field of Production Automation specifically in the field of Computer Aided Manufacturing. He has in total 20 years of teaching experience. He has nearly 46 papers to his credit in various international journals, international and national conferences/seminars etc. He is reviewer for prestigious International Journals like Flexible Services and Manufacturing (Formerly known as the international Journal of Flexible Manufacturing System) of springer publication. He is member of Institution of Engineers and Life member of Indian Society for Technical Education. He has been actively associated in organizing various national seminars/conferences. He is recipient of Career Award for Young Teachers from AICTE, New Delhi. His field of specialization lies in Production Management, Quality Management, Entrepreneurship Development, Industrial Automation and Intellectual Property Rights. His name has appeared in Marquis Who's Who in Science and Engineering in 2008 and 2011. Subhadip Sarkar works for Cognizant Technology Solutions as the Senior Director of Intellectual Property. At Cognizant, Subhadip is responsible for establishing and driving the IP and technology licensing strategies and implementing various IP practices across the company. Subhadip also manages the delivery and operations for a business venture at Cognizant. He has extensive work experience in the field of technology and IP management. Subhadip has been instrumental in incubating the IP practice for large corporations from scratch. He architected the IP vision, implemented a structured IP management system, and established key best practices in this area. He has extensive experience in managing multi-scenario IP Management strategies, IP protection and Risk Management and compliance, licensing and commercialization of IP, deal negotiation, M&A etc. He has to his credit several papers and articles/book chapters in national and international journals/conference / books and Patents. He is an active player in the national committee of IP Owners, National Bar Association of India, AMCHAM, CII, FICCI, LES, among others. Mr. Vinay kumar Pandya is currently working as a private professional Patent and Trademark Attorney. Before starting his own patent consulting firm, he has worked with reputed pharmaceutical companies in Ahmedabad for nearly 10 years, wherein 5 years in R & D and rest 5 years in IPR Cell of the industry. 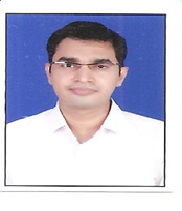 He has did his M.Sc with Chemistry followed by Law and PG Diploma in IPR from AIPS, Mumbai. He is also involved with different academic institutes for promotion of IPR and Patents which includes Gujarat University, SVNIT and GTU. 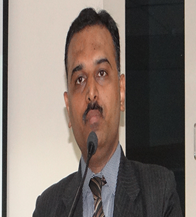 Anil K. Pandey is heading and managing the Intellectual Property Facilitation Centre (IPFC) at CII, Ahmedabad. He is guest faculty at Gujarat University and Gujarat Technological University for PGDIPR course and awareness/training program. He was with Troikaa Pharmaceuticals Limited, Ahmedabad, as a Senior Manager – IPR and Senior Fellow/Innovation Officer at National Innovation Foundation, Dept. of Science & Technology, Govt. of India. He received his dual master degree in Chemistry and Patent Information System. 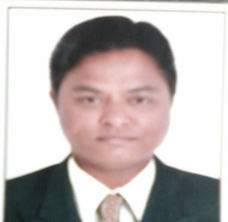 He has also completed PGDIPR from L.A. Shah Law College, Ahmedabad, Gujarat. He has about 8 years of experience in Technology Management and IPR field. He has presented number of research papers in different national and International Conferences/forum etc. Also received CSIR and WIPO Fellowship for Advance IPR courses and is a registered Indian Patent Agent. 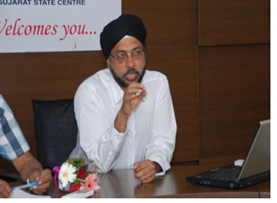 Advocate Harpreetsingh G Banker, an Indian Patent & Design Agent and Indian Patent & Trademark Attorney, is the Proprietor of Satguru IP & Co. with its office at Paldi, Ahmedabad, Gujarat, INDIA. Satguru IP & Co. was established as an Intellectual Property specialty office having professional team/associates for each specialty area (Patent, Trademark, Design Registration, Copyright, IPR Valuation, etc.). They suggest proper strategy to keep Intellectual Property safe for their clients, to establish a powerful Intellectual Property portfolio thus applying it to business, lawsuit, and negotiation. Pradeep is in the business of managing Intellectual Property(IP) rights for about 12 years. Pradeep focuses on innovation management and business development. He obtained Masters Degree in Intellectual Property from Franklin Pierce Law Center, USA. Pradeep has a Masters Degree in Instrument Technology from the Indian Institute of Technology (IIT) Delhi. He also has a Masters Degree in Physics. Pradeep has worked in Europe, North America and Asia and have gained extensive exposure to international market strategies and IP practices. Pradeep has passed the USPTO patent agent exam and is registered to practice at the Indian Patent Office. Pradeep has helped his clients develop cutting edge patent portfolio using TRIZ solution and other creative problem solving solutions. He has handled matters for IBM, STMicroelectronics, Philips Electronics, Texas Instrumentation, Avaya and other leading multinational companies. Pradeep has successfully developed patent assertion, IP valuation, freedom to operate, and licensing strategies. 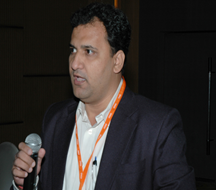 Pradeep actively participates in IP awareness programs and conferences as a speaker. Pradeep has entered into anagreement with NIIT to author a technical book titled “Electronic Devices and Circuits” Pradeep is multi-lingual and is proficient in English, Hindi, Marathi and Bengali and he has intermediate understanding of Gujarati, Punjabi, Urdu, Telugu and Kannada. He plays Flute (Indian Classical) and has personally blessed by the Mestro pt. Hari Prasad Chaurasia. Drama is his one of the hobbies and he has acted in many plays in New Jersey US and in India. Pradeep has developed IP training and educational programs for Managers, Engineers and Lawyers. Mr. Tushar has done his Bachelor in Pharmacy from Bombay college of Pharmacy, Mumbai. Post-Graduation in Clinical Research from Academy of Clinical Excellence (ACE), Mumbai. He possess 9 years of experience of sales of Patent Database related products. He is currently working as Sales Head (India & Singapore) for Gridlogics Technologies Pvt.Ltd, Mumbai. Currently he is looking after for products are PatSeer and PatentInsightPro. He was one of core member who launched PatBase in India in 2008. PatBase is a product from UK based company called MineSoft and RWS group. Dr. Manish A. Rachchh is currently working as an Associate Professor at Center of Pharmaceutical Studies, Gujarat Technological University (GTU), Ahmedabad. He has completed his M.Pharm and Ph. D with specialization in Pharmacology from L. M. College of Pharmacy, Ahmedabad. He is also a Registered Patent Agent with Patent Office of India (IN/PA-1573). He has total 13 years of teaching and research experience. His research work has been accepted by various reputed national and international publications. He has presented 22 research papers in National and International conferences. He has filed 11 patents for his own research work and licensed out 3 patented technology to one of the Ahmedabad based Pharmaceutical company. He is also serving as an honorary Program coordinator for GTU IPR Cell, wherein he has conducted 66 workshops on Basic to Advanced level of IPR and Patenting in Pharmaceuticals as well as Engineering. In this process, he became catalyst for training of nearly 4,700+ faculty members and 3,000+ students of GTU in the field of Patent and IPR. He also serving as Program coordinator for PGDIPR course of GTU. He is life member of Indian Pharmaceutical Association (IPA), Indian Pharmacological Society (IPS), Association of Pharmacy Teachers of India (APTI) and American Council of Clinical Pharmacists (ACCP). So far he has guided 13 M. Pharm students and 2 PhD students in their research work. 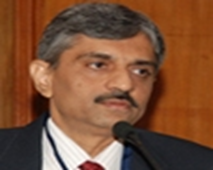 Dr. Ashok is currently working as an Executive in IPR dept. with Amneal Pharmaceuticals from January, 2011 to till date. Before that he has been working as a Lecturer at S. J. Thakkar Pharmacy College, Rajkot from August, 2008 to December, 2011. He has also worked as a Trainee in F & D dept. with Lincoln Pharmaceutical Pvt. From February 2008 to July, 2008. Mr AMIT PATEL is a young and enthusiast personality currently working as Assistant Professor (IPR/Patents) at Gujarat Technological University. He has completed his M.Pharm with specialisation in Pharmaceutics from K. B. College of Pharmacy – Gandhinagar in 2010. He also holds P.G. Diploma in Patents Law degree from NALSAR University - Hyderabad. He had also completed the Advanced International Certificate Course on IPR & Business - Conducted jointly by KIPO-WIPO-KAIST-KIPA. He is associated with GTU since from August 2013. Prior to joining GTU, he had worked with Torrent Pharmaceutical Ltd for three years. At GTU he had designed and developed the structure for various high impacting novel initiatives like as to: Patent Search & Analysis Report (PSAR) activity, Patent Drafting Exercise (PDE) activity and PCT patent journal analysis activity in association with industry experts, faculty and student associates. He has also contributed for content development of P.G. Diploma in IPR course launched by GTU. He is playing a leading role for smart online project management portal for the university: Project Monitoring and Mentoring System (PMMS). He had arranged more than 35 workshops for the training of students and faculty on various topics of IPR. He had carried out number of other initiatives and involved with various activities in partnership with various colleges, faculty and student associates for innovative culture build up at GTU Innovation Council (GIC). He is deeply interested in the field of IPR (Intellectual Property Rights) & Patents. 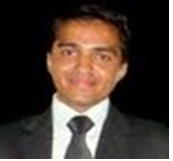 Mr. Shailesh is currently working as project officer-IPR at Gujarat Technological University. 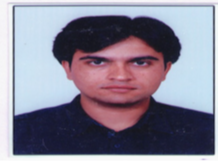 He has completed his M.Pharm in pharmaceutical chemistry and PG diploma in Patent law. 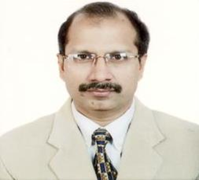 He is also a Registered Patent Agent with Patent Office of India (IN/PA-2281). He also received CSIR senior research fellowship for research project and published number of research papers in different national and International Journals. He engaged in organize various capacity building programee like patent clinic patent search and technology landscaping (PSTL) and workshop on Industrial design registration. His area of interest is prior art searching, patent landscaping, patent drafting and filling.